Regina is the capital of Saskatchewan and the sixteenth largest city in Canada with a population of 215,000. But it also has an employment rate of over 140,000. It’s important that the companies who have hired these employees safeguard their workers as well as themselves from sudden loss. 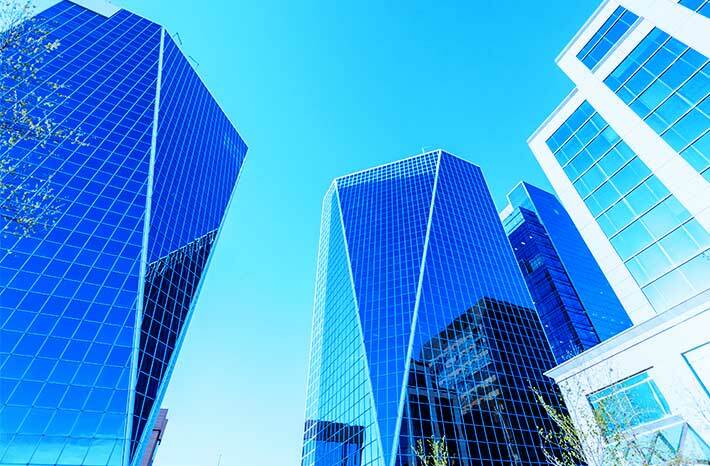 Federated Insurance is committed to protecting Regina businesses with comprehensive business insurance coverages that suit their specific needs. Why do you need insurance for your Regina-based business? Despite your best efforts to ensure nothing goes wrong, a disaster could affect your business at any time. Whether it’s an unexpected storm or a large fire, your business could suffer from extensive damages. Would you be able to handle the costs associated with repairing or replacing your business’ equipment or infrastructure? Could you shoulder the financial responsibility if your business was the victim of a cyber attack or facing a costly lawsuit? Business insurance is designed to ensure you won’t have to handle those costs alone. A business insurance policy can protect your business from the unexpected. Nobody quite understands what it’s like to run or work for a business in Regina, unless they’re doing it themselves. But we’re in the neighborhood, and we want to help you get a policy that’s catered to your specific needs, whether you run a restaurant in Al Ritchie, a grocery store in Walsh Acres, or another specialized business. The type of insurance you need is as unique as your business is. Your revenue, your business contents, and where you operate are just a few of the factors that influence which coverages are best for you. Here we review a few of the coverages Federated Insurance can offer to help protect your Regina-based business. Despite your best efforts, an unexpected disaster like a storm or fire could lead to significant damages for your business. Commercial property insurance can help with the repair and replacement costs should your business experience such an event. It will cover your building, as well as a range of its contents including equipment, inventory, furniture, and computers. After something goes wrong, business owners focus on getting back on their feet and the repair and replacement costs that come with that. But what you might not think about is the lost income you may experience if you need to temporarily shut down your business while doing those repairs. Business interruption insurance is designed to help pay you back for any lost business profits and assist with any necessary expenses until your business is back on its feet. As a business owner, you have a lot to worry about. That’s why commercial general liability insurance (or CGL for short) is such a vital part of any business owners tool kit. Your business can be held responsible for any bodily injuries or property damage to a third party while they’re on your premises. Commercial general liability insurance is designed to provide assistance with the legal costs that you may incur as the result of a lawsuit. If you have someone who’s integral to helping you run your business and something happens to them, the emotional and financial consequences can be extensive. Key person insurance can help ease some of your financial concerns. With the coverage, you will receive a tax-free death benefit that could be used towards possible recruiting and training expenses, as well as repayment of debt. Why should you choose Federated Insurance to protect your business in Regina?